Migration Crashlytics from Fabric to Firebase. 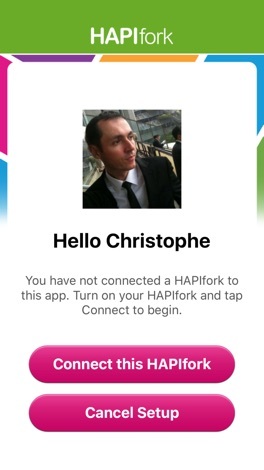 HAPIfork is the world’s first smart fork, brought to you by Slow Control and HAPILABS. 50% of our health comes from what we eat and how we eat. 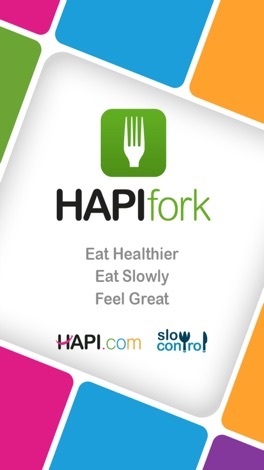 The HAPIfork helps you to eat slowly, improve digestion, and lose weight. 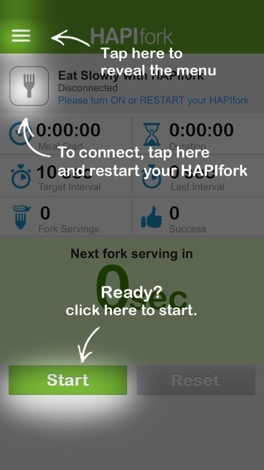 The companion HAPIfork app connects your iPhone, iPad, or iPod touch with your HAPIfork over Bluetooth Smart® to coach you to eat more slowly and to see your eating stats in real time. 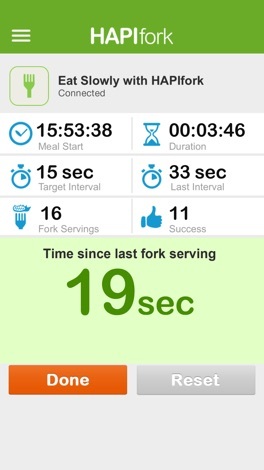 Upload your eating data for analysis and coaching. 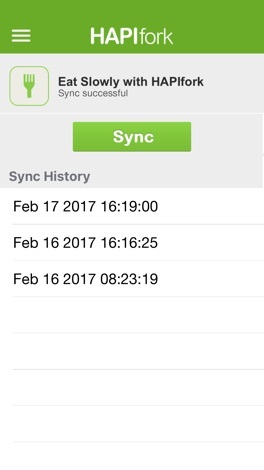 With the app, you can also upload your stats over the air* to your HAPI.com account to see your stats over time and to track your progress.